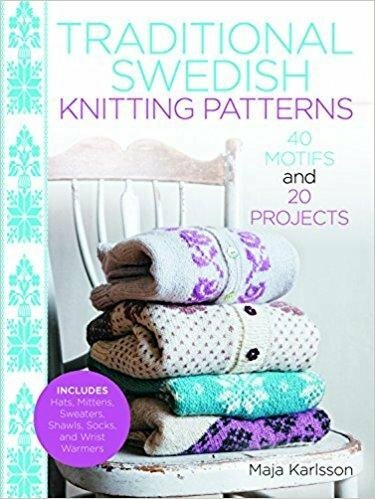 Knitting designer Maja Karlsson delved into the fascinating history of Swedish fibercrafts, and discovered a rich tradition of multi-color patterning—the perfect source of inspiration for this lovely collection of 40 uniquely Swedish motifs, applied and combined into 22 projects. Flowers, borders, geometric figures, landscapes, people, and animals, on their own or together, form the backbone of traditional Swedish stranded patterns. With the help of clear diagrams and full-color knitted swatches, a little knitting school, a pattern library, and eyecatching photography, intermediate knitters can confidently try out wrist warmers, hats, and ponchos; and veterans can challenge themselves with sweaters, jackets, and gloves. Pull out your needles, choose your yarns, and get ready to explore the depth, complexity, and beauty of traditional Swedish knitting!